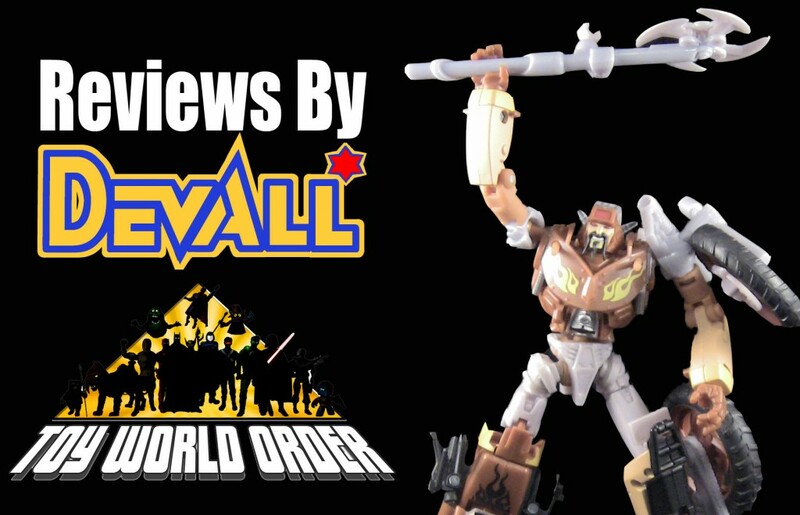 Devall is back with an all-new review! This time out he takes a look at Hasbro’s Transformers Reveal the Shield Junkion Leader Wreck-Gar! Click in to check it out! Dave and Devall are back with an all-new episode! This week, they discuss Predator and A.V.P figures from Hot Toys, DC Universe All-Stars, Dr. Who Tardis playset and then move on to revealing the History of Devall’s Brony status, how the boys almost died just for toys and answer your questions! So sit back, relax, and pull up a chair to the toy bar and listen in! Dave and Devall are back with an all-new episode, and on their regular day! This week they talk about Christmas Presents received and given, more Matty news, a new Girls line of LEGO’s, new Venture Brothers offerings from BiffBangPow and then dive into to YOUR questions and comments! Dave Draper and Jason Devall return to the airwaves to give you their thoughts on LEGO Hobbit/Lord of the Rings, MIB 2 toys, the return of a classic 60′s toy villain to shelves, some awesome Dr. Who toys and then spend some time chatting up the amazing G.I. Joe – Retaliation trailer as well as Dave regaining his holiday’s from a Christmas Nazi! Click in to enjoy all the fun, and let us know what you think of the show! Hit us up at Devall@toyworldorder.com!